Ashish Kanitkar joined Kohinoor Group in June 2014. He is a qualified Chartered Accountant with specialization in Corporate Finance & Strategy. He has rich experience for more than 20 years in Project Finance, Equity & Debt Management, Mergers & Acquisitions. He is particularly known for developing innovative financial solutions in a complex and challenging environment. His key forte lies in his ability to create a win-win situation for all stakeholders. Mr Sainath Rajadhyaksha is a Chartered Engineer MIE (Member of Institute of Engineers, India) and became a part of the Kohinoor Group in the year 2007. He looks after the acquisition of property after considering all feasibility aspects. He plays the role of a communicator with the consultants and the architects. Mr Rajadhyaksha is in charge of the preparing plans for project and obtaining approvals. He deals with all the political and socio-economic issues that arise. Mr Rajadhyaksha has a prior experience of 23 years working as Assistant Engineer with the Municipal Corporation of Greater Mumbai. During his tenure with Municipal Corporation he has undertaken major projects like, construction of Master balancing reservoir, construction of pre-lagoon treatment plants for sewage projects, widening, deepening and beautification of Mithi River. Prior to this, he has worked with the Maharashtra Water Supply Sewage project for a year. He holds memberships of esteemed organizations like PETA, National Safety Council and Water Resource Society of India. 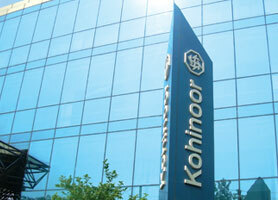 Sumangali joined the Kohinoor Group in June 2013. She is a qualified Chartered Accountant, Certified Internal Auditor (CIA) & Certified Quality Assessor. She has also cleared the Information System Auditor Examination conducted by Information Systems Audit and Control Association, USA. Her specialisation is in the field of Internal & Operations Audits. During her career spanning 28 years, she has been involved in projects such as preparation of job profiles and Delegation of Authority (DOA) & Financial Powers, Business Process Re-engineering, Risk Assessment and Development of Risk Based Audit Plans, preparation of Standard Operations Manuals. She has also been involved in consultancy assignments such as business process review of various corporate highlighting requirements of key controls in various functional areas like review of reconciliation procedures and controls, advertisement & marketing reviews, cost reduction studies, to name a few. Prior to joining Kohinoor, she worked with Aneja Associates, Chartered Accountants a leading Internal Audit firm in Mumbai, in the capacity of Senior Director. Mr Ramessh Shinde is a Civil Engineer and joined Kohinoor Group in the year 2008. He is currently in charge of the Regulatory Affairs of the company’s redevelopment projects. A well experienced professional in his own right, his expertise in seeing redevelopment projects through stands the Kohinoor Real Estate Division in good stead. His responsibility also entails appointment of architects and executing miscellaneous processes till the project is completed, also including handing over possession to the customers. Mr Shinde has a prior experience of 16 years working as Executive Engineer with MHADA. During his tenure with MHADA, he has undertaken major projects like, maintenance and repair work of the largest MHADA Colony and repair and reconstruction of 500 cessed and dilapidated buildings. He has also handled a number of court matters in the City Civil Court, High Court and Supreme Court. Prior to that he worked with the Zilla Parishad, Thane. He was mainly responsible for construction, water supply management and monitoring the MLA fund programme of the minor irrigation dept. Mr Ravindra Dalvi holds the position of General Manager – Legal in the Kohinoor Group. He joined the group in 2008 as Senior Manager - Legal and thereafter was promoted to the position of General Manger. Mr Dalvi is in charge of the legal affairs and documentation for the Group and its verticals. He also plays the role of an advisor in legal affairs to all the verticals of the Group. He represents the organization for resolution of legal cases under various Acts / Rules. He liaison with Government Officials and attending matters related to Arbitration, Corporate Laws, Banking Laws and Property Laws. He also manages/coordinates with the team of lawyers both in-house and external to ensure effective delivery and timely resolution of legal matters. Prior to joining Kohinoor, he had been designated as the Senior Manager – Legal at SICOM LIMITED (State Industrial and Investment Corporation of Maharashtra Limited) for fourteen years and an Assistant Advocate for five years with Gabriel Pillai & Co. Advocates & Solicitors. Mr Raman R Temkar is a Fellow member of the Institute of Chartered Accountants of India. He received his B. Com degree from Bombay University in 1987. Mr Temkar is an eminent Chartered Accountant and has over Twenty Two years of experience in Direct and Indirect Taxes, Finance and Corporate Accounting matters. He has been associated with the Kohinoor Group for over 7 years, starting as a Senior Manager finally General Manager in the year 2012. He has been largely responsible for Corporate Tax planning, Direct and Indirect Tax Compliance, Assessments and in addition he his holding independent charge of Power Division. Prior to joining Premier Ltd worked with M/s. A F Fergusson & Co. Chartered Accountants a leading and one of the Top five Chartered Accountants firm, as Assistant Manager (Audit) for a period of 2 years. He was responsible for conducting Statutory Audits / Tax Audits of Multinational Companies, Engineering Companies, Pharmaceuticals Companies. CA Sunil G Karve has earned himself the title of the ‘Silent Revolutionary’ in the field of education. Rightly so, since he’s never spoken about his achievements. He’s always lived and worked by his own rules. “Karve Sir”, as he’s fondly called by his students, is a Chartered Accountant, Company Secretary and LLB with a razor sharp mind. Recipient of the prestigious “Yashashree Award’ conferred by Maharashtra Times for outstanding contribution in the field of education, Mr. Karve has shaped the careers – and lives – of all the students who have been with him. The dramatic growth of the MET League of Colleges, Mumbai’s premier educational institution offering post graduate programmes, that he created from scratch, bears testimony to his ability and dedication. Founded by him in 1989, it has gone from strength to strength. MET has also been conferred a special consultative status by the United Nations, thanks to Karve’s endeavours. As Chairman of the Governing Board, Kohinoor Education Trust, Mr. Karve is committed to taking KET to a position of undisputed acclaim. By shaping it into an institution of international standard that is completely modern in terms of syllabus, infrastructure and technology, yet deeply rooted in Indian culture and tradition. What really drives Mr. Karve is his passion for ‘higher order’ education that goes beyond the syllabus and instills in students the importance of values and character…Perhaps the only qualifications that set you apart. As a professional and as a human being. Makarand Vagaskar joined the Kohinoor Group in September 2012 as General Manager – Information Resource Development and is responsible for overseeing the Group IT, Corporate Communications and Design Cell. In his capacity as the head of IT, his main role is to align the IT strategy of the group to the business strategy, and support the group’s core vision through information resource planning. His additional mandate is to enhance the brand development of the group and facilitate communications with internal stakeholders. With effect from April 2015, he has been entrusted one more responsibility for Kohinoor Technical Institute (KTI). He will be responsible for supporting and developing IT solutions to step up the efficiency and effectiveness of the KTI operations teams to support and enhance the quality of delivery in operations, that is, current course management and faculty teams. He has done his Bachelors in Engineering (Electrical, 1986) from Victoria Jubilee Technological Institute and his Masters in Management Studies (Operations Research, 1990) from Jamanalal Bajaj Institute of Management, Mumbai. With 25 years of experience in IT, ERP and Brand Building, he constantly lends new dimensions to the Kohinoor Group. Besides IT, Makarand is interested in local and global cuisine and dabbles in cooking exotic dishes during his spare time. His hobbies include listening to music, reading light fiction and solving crossword puzzles. Makarand has been associated with IT for more than 25 years in various capacities. He started his career with Mastek, a software start-up back in 1986. Later on he moved to VIP Industries Ltd. as the head of IT for one of their manufacturing plants. Under his leadership, the location consolidated their IT resources both in terms of infrastructure as well as their application portfolio. An entire home-grown ERP suite encompassing all the business processes of the plant was conceptualized, designed and implemented during his association with the plant. In VIP Industries, he was also looking after the functional portfolios of Production Planning, Stores, Despatch and All India Distribution of their moulded furniture division. He worked in international software projects in the capacity of Technical Architect leading a team of international software resources on a Retail Banking application for two years. Later, he moved on to Pune in 2006, to head the operations of a software start-up where his overall responsibility was to provide support to business development and to ensure technology delivery and in-house capacity building. The overseas business for application development was consolidated during his tenure and it became the major revenue earning line of business for the organization. With his initiative, the start-up also branched into providing corporate communications and brand outreach strategies to its customers. Makarand is a strong supporter of the not-for-profit sector involved in community oriented projects and has developed many productivity enhancing back-office applications for organizations at a no-cost basis. He has also been involved in software product development targeted towards clinical practitioners of ophthalmology. Mrs. Deepali Nene (M.A., Tata Institute of Social Sciences, Mumbai and B.Ed., Bombay Teacher’s Training College, University of Mumbai) is a committed educationist with Seventeen years of profound and innovative experience and achievements as an administrator and teacher in the Primary and Middle school. Expertise in pedagogy, curriculum planning, innovative practices and implementation strategies. She strongly believes that the child is at the centre of the learning experience and that every child creates a unique place for oneself. From June 2009 till April 2013 she was associated with one the renowned school MET RishikulVidyalaya, A candidate ICSE school as Primary and Middle school Co-ordinator. She joined Kohinoor International School as Principal for Primary Section in June 2013, from the current academic year 2017-18 she has taken over the Principal ship of the secondary section as well; she is looking after the entire Kohinoor Internal School grade 1 to 10. In her distinctive way she is providing leadership direction and guidance to a staff of 69 teachers, resource room professionals and administrative personnel with the objective of bringing in creativity and advancement. Dr. A. A. Attarwala is a Certified Management Accountant (Australia) and has graduated with M.Sc from IIT Mumbai with Ph.D. in Financial Management. Dr. Attarwala is having more than 39 years of Teaching and Research experience and is a recognized Ph.D guide for management students. Currently 9 students are pursuing their Ph.D under his guidance and 4 students have already completed their Ph.D under his supervision. He has published more than 40 research papers at the national & international conferences in India & abroad. Dr. Attarwala is the recipient of 18 prestigious awards including Vidya Ratan Award – 2012, Best Citizen of India Award – 2013, Best Management Faculty Award from Bombay Management Association in 2015 at the hands of Shri Ratan Tata. Recently he was honoured with D.Litt. by University of South America. He was associated with many well known business schools in Mumbai before joining as a Professor in Kohinoor Business School, in 2013. Currently he is the Director of Kohinoor Business School. In Mallika Kotian, Kohinoor Education Trust (KET) has found an efficient school administrator whose illustrious career spans 17 years. She has been part of some of the best schools in the country and has played a key role in setting up new ventures. Strategic management coupled with a humane approach is her biggest skill. Her involvement in Early Childhood Education, Primary and Secondary Education has catalyzed the growth of the schools she has worked with. Her vision to see every employee & student excel in their personal and professional lives has made her create numerous success stories across the nation. Mukund Kamat has done his graduation in Science from Karnataka University. He started his career with Taj Hotels in 1978 and worked in various Taj properties like Taj Mahal (Mumbai), Taj President (Mumbai) and Taj Residency (Nashik). He underwent various management training courses during his stint at Taj Group viz., Train the Trainer, Seven Habits of Highly Successful People and Managerial Grid. He joined Kohinoor Group in 2000 after working with Taj for 22 years. After working briefly at The Plaza Hotel in Nashik, (managed by Kohinoor Group), he took over as General Manager Kohinoor Continental in 2002. Since 2007 he is working as Vice President of the Hotels Division of Kohinoor Group, looking after three hotels and a banquet hall – Kohinoor Continental, Mumbai, Kohinoor Elite, Mumbai, Kohinoor Asiana in Chennai and Kohinoor Hall at Prabhadevi, Mumbai. He has also done a course in Revenue Management through IIM, Ahmedabad. Sagar Suresh Parab is the Operations Manager of Kohinoor Continental. He has done his graduation in commerce stream from Mumbai University. He started his career with The Retreat, based in madh island Mumbai as a Front Office Assistant in 2001. In 2002 was promoted as Reservation executive and in 2004 promoted to trainee duty manager. In 2004 moved to Caravela Beach Resort in Goa as a Duty Manager. After spending 2 years in 5 star hotel in Goa then he came back to Mumbai and joined Intercontinental The Grand as Asst Front Office Manager. Mr Parab became a part of the Kohinoor Group in November 2007 as a Deputy Sales Manager with Kohinoor Continental and in 2013 elevated to Head Sales in Kohinoor Elite. In 2016 he was elevated as General Manager of Kohinoor Elite. Currently shouldering his duties of running smooth the day to day operation of the hotel. Maintaining repeat business and meeting budgets are his core jobs while taking care of hundred percent guest satisfactions. Bharat Ishi, presently Vice President (Constructions) of the real estate arm of Kohinoor Group, is a Civil Engineering Graduate from the prestigious VJTI engineering institute in Mumbai. Joining the Kohinoor Group in August 2008, he brought over 21 years of valuable work experience in diverse areas of the Construction and Real Estate Industries along with him. Some of his noteworthy achievements at Kohinoor City include - construction of a Commercial Complex of about 15 lakh sq ft. in Kohinoor City, constructing and providing required civil infrastructure for the Kohinoor Hospital building, a 175-bed multispecialty hospital, within a record 25 months from the initial breaking of ground. The Kohinoor Hospital building has the unique distinction of being Asia’s first and the world’s second LEED Platinum Rated Green Hospital building. Other achievements include construction and timely handing over of the Kohinoor City residential complex (Phase I) of around 7 lakh sq ft., construction of the 100-room 3-Star Kohinoor Elite Hotel in just 15 months, a unique business budget hotel and setting up an Educational Complex of around 3.5 lakh sq. ft.
A state-of-the-art auditorium, a significant part of the complex, will soon be completed under his dynamic leadership. Simultaneously, the construction of Phase III of the Kohinoor City residential complex, of around 6 lakh sq ft, is going on in full swing at present. He has brought to Kohinoor his rich prior work experience as Head, Planning Division of Ackruti City and Chief Engineer of the University of Mumbai, having carried out notable developments in construction and infrastructure. He has won several awards from Mumbai University for his exemplary work. He is a prominent member of the team that won the UNESCO award for the restoration of the Convocation Hall, a Grade I Heritage Structure. He has also worked with the real estate division of Mukand Ltd and has completed Mass Housing Projects for CIDCO with its Construction Management Firm. Atul Modak is a born leader and comes with 20 years of post-qualification experience. He is a Chartered Accountant and has also done his Masters in Marketing Management from the renowned and reputed Jamnalal Bajaj Institute of Management Studies. He has varied experience in the fields of taxation, accounting, sales & marketing of various products ranging from automobiles, finance, education& Real estate. Joining the Kohinoor Group in the year 2000, he simultaneously handled the marketing for Kohinoor Real Estate, and a little later, two institutes of Kohinoor Education in Khandala – Kohinoor IMI School of Hospitality Management and Kohinoor Business School. Shortly afterwards, he took over as the full-fledged Head of Kohinoor’s mega project called Kohinoor City, an integrated township project. He had successfully taken the business to a completely new level, proven by the sale of more than 1000 apartments & commercial space of about 9 lakh square feet to reputed patrons including American School of Bombay (ASB), Indian Institute of Banking & Finance (IIBF), The Clearing Corporation of India Ltd (CCIL), National Stock Exchange (NSE), and Essel Infra projects Ltd etc. Having proven his professional acumen in the fields of Education and Real Estate, now he has undertaken the challenge to head Kohinoor Hospital. He has managed critical issues during tough times and has consistently proven his successful people-management skills and Leadership. Brilliance, untiring zest for excellence and a down-to-earth nature are words that best define him.